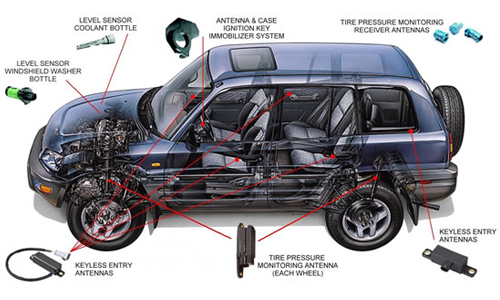 We have produced automotive immobilizer security antennas for almost every major automotive manufacturer. We offer engineering design support with unsurpassed in-house capabilities including molding, stamping, winding, termination, and assembly. This gives us the capability to customize products to fit the varying needs of the automotive industry. In addition to unparalleled design and manufacturing, Standex Electronics has a “global footprint” which allows us to manufacture worldwide to simplify the shipping, logistics and costs of getting the parts wherever they are needed.